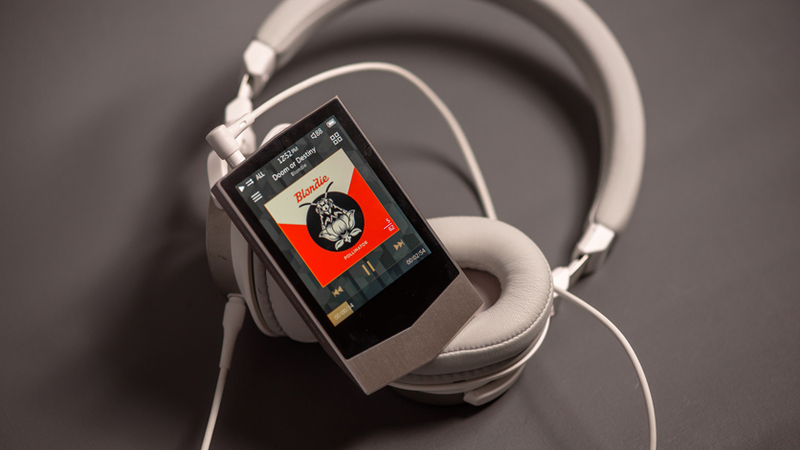 Cowon has always released unusual players, but with the new Plenue V, it surpassed itself – the device caused a stir in April’s HiFi Show, and primarily due to the unique design. Now that the model is on sale, let’s look under the bright cover and find out if the content corresponds to it. In a small black cardboard box there was a place only for the hero of the review itself and the USB cable. At first, such asceticism is confusing, because the consumer is already used to “compliments” like free cases and adapters for fast charging. However, all this can be purchased separately – or not to buy and save. Nobody thinks that the rich equipment is due to the manufacturer’s altruism? When you first look at the gadget experiencing a culture shock from its design. 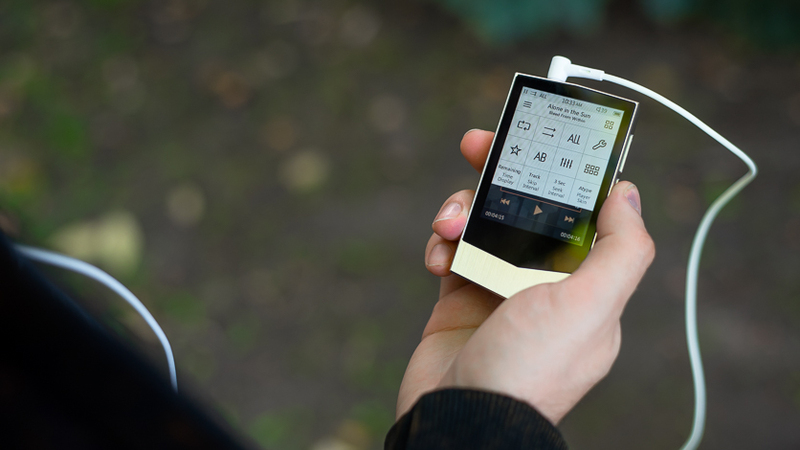 Nowadays, players are more and more like smartphones, so that any model that does not resemble a touchscreen “brick” seems to be something incredible. By the way, besides the silver color there is still red – for absolute nonconformists. The body of the Plenue V is wedge-shaped and consists of two parts: an aluminum frame and a backrest made of something resembling rubber. The workmanship is impeccable, the materials are pleasant to the touch – I don’t want to let the device out of my hands. The player is surprised not only by the shape, but also by the power button hidden in the logo. An unexpected decision, however, does not cause any inconvenience, except that when you first turn it on you will have to look for it. 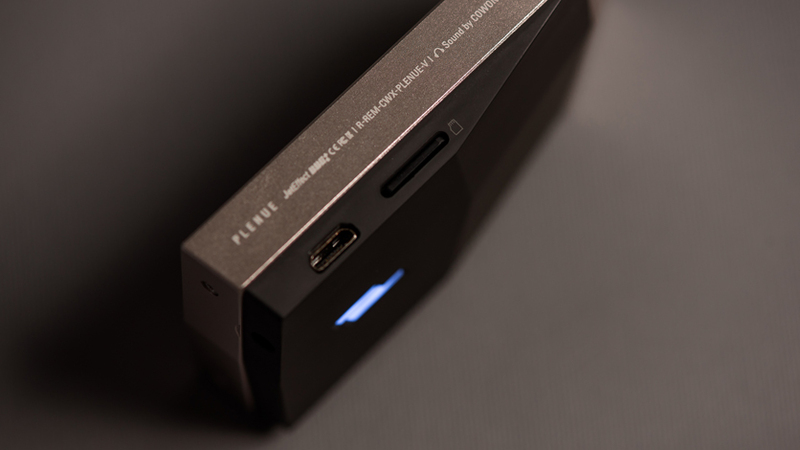 Contrary to fears, Plenue V fits well into the palm of your hand, without digging into it with a beveled lower end. 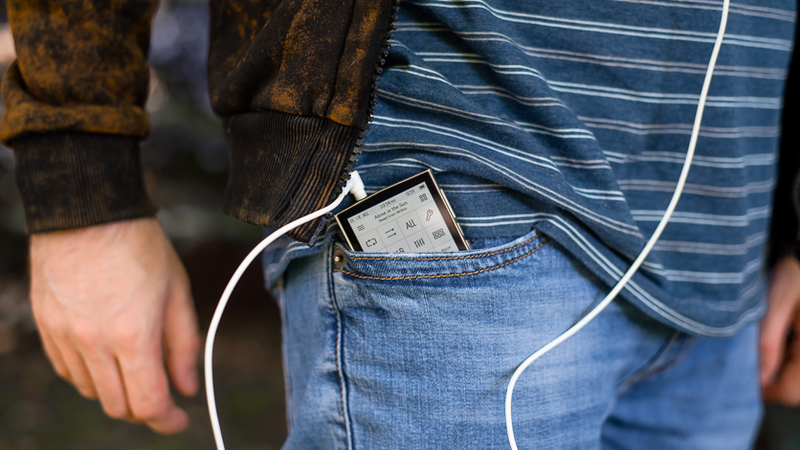 The company did everything to make it convenient to use the player on the go: the sloping back with a soft-touch coating is rather “tenacious”, and thanks to its tiny dimensions and low weight, the gadget fits perfectly into the pocket of even narrow jeans. The model works on its own firmware, the base for which was the Linux OS. On the main screen, a list of files and several types of audio library sorting (artists, albums, genres) are available. There is also a search line with a QWERTY-keyboard, it opens by pressing the icon on the right side of the display. The curtain of settings from the playback screen opens in the same way. It is also possible to manually adjust the sound in five bands. Moreover, for each band, a specific frequency, amplitude, and attenuation pattern are specified. Another feature is BBE + mode. In it, the player is able to compensate for the physical distortion of the headphones, adjusting the electrical signal under them. In theory, this gives the best phase and transient characteristics of the entire system (player plus headphones). More information about the technology can be found here . Despite the rich functionality, the firmware loads very quickly: it takes a few seconds to turn on and scan the memory. However, the display responds to touchdowns with a delay, which can slow down interaction with the device. However, for purely “player” tasks (switching tracks, scrolling through the library), super-velocities are not required, which means you can get used to this. 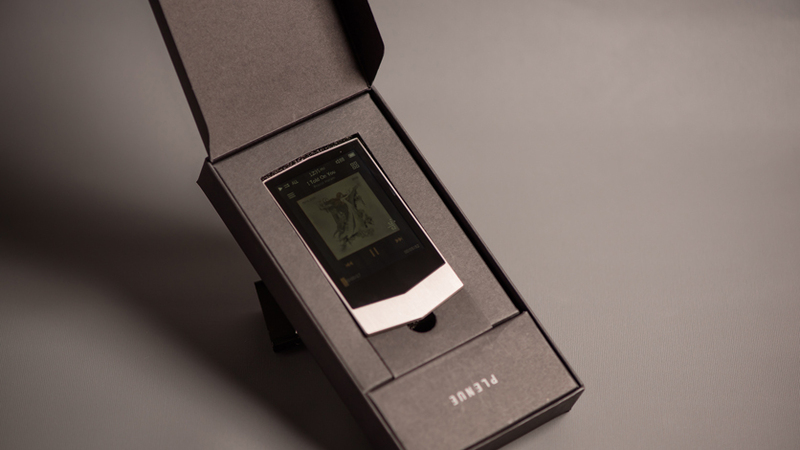 In terms of additional features, everything is simple – nothing more, just music. The basis of the Plenue V is a new audio chip from Cirrus Logic – CS43131 with a 24-bit DAC and its own amplifier. This solution is compact and energy efficient, which is especially important in conditions of limited power. At the same time, the audio chip produces a SNR of 126 dB, and nonlinear distortions do not exceed 0.0004% – no worse than that of expensive devices on discrete DACs and amplifiers. 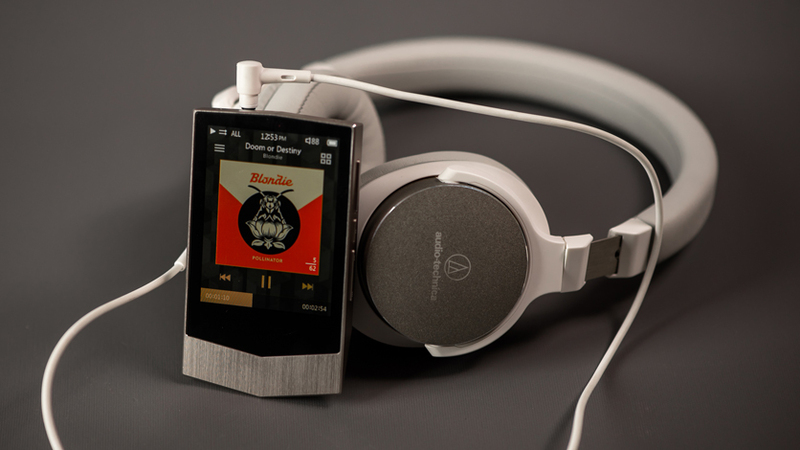 Audio-Technica ATH-SR5 overhead headphones, as well as Audio-Technica ATH-IM02 rebar, were used to evaluate the sound. The test playlist included lossles of various styles, from jazz to hip-hop and metal. With both models Plenue V played with dignity. However, in the case of the ATH-SR5, we had to tinker with the equalizer to give them a light weight more solidity in the bass area – good, the player gives a wide scope for tuning the sound. But with more sensitive and neutral ATH-IM02, everything was excellent from the very beginning. Comfortable loudness was achieved at a value of 30/140, so its stock is simply deafening. 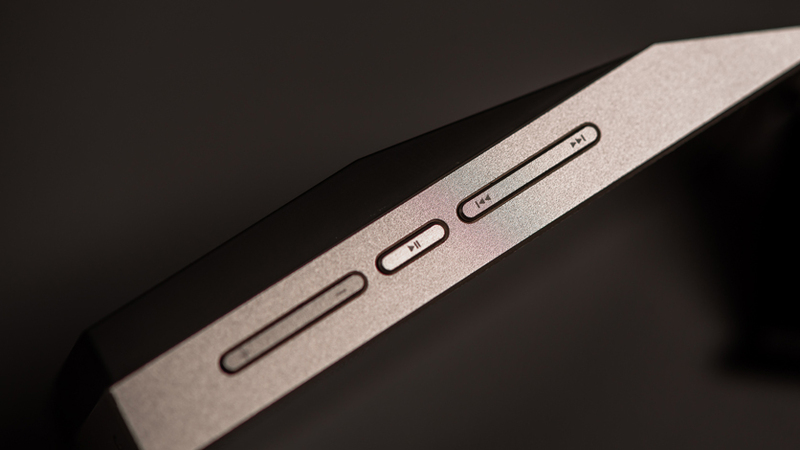 The sound character of the Plenue V is thick and solid. The player does not divide the music into components, as audiophiles like, but produces a driving sound that absorbs the listener entirely. Therefore, it is not desirable to catch certain nuances in the compositions, despite a good level of detail. The sound is due to its thickness and thoroughness to a little-allocated bass. In this case, the emphasis is placed neatly, so that the low frequencies do not harm the middle, but on the contrary, give it warmth and physicality. This presentation is perfectly combined with Louis Armstrong’s chamber jazz, and with modern electronic music from Massive Attack. Medium frequencies are served emotionally, with pronounced and detailed vocals. In addition, the voices are enriched by the low-frequency component, which benefits in depth. Especially from this benefit composition with technical male vocals – the splitting of Tomi Joutsen from Amorphis can be literally “examined” in detail. Female voices are also well worked out, with sufficient sonority, but without undue lightening. Well done both by Tarja’s academic vocals and Flo’s variety manner (both Nightwish soloists). The instruments sound natural and with good separation. The player does not slip into dry analyticity, but plays warmly and musically, as most music lovers will appreciate. At the same time, he does not introduce frank gag, be it an artificial expansion of the “scene” or an additional selection of vocal parts. High frequencies also do not give surprises (in a good way). They are slightly smoothed for the sake of a comfortable supply, but they are very clean and do not allow the player to slide to the “dark side”. The nature of the RF varies depending on the digital filtering mode of the DAC. In FAST mode, they are closer to cold and refined ones, in SLOW they are softer and more detached. The CS43131 DAC also supports NOS digital filtering (without oversampling). In it, the sound becomes “warm and tube”, resembling old analog paths. Great for listening to jazz, digitized from vinyl records. By the way, about genres: Plenue V perfectly copes with any styles of music, and a wealth of settings allows you to achieve a satisfactory result in each case. 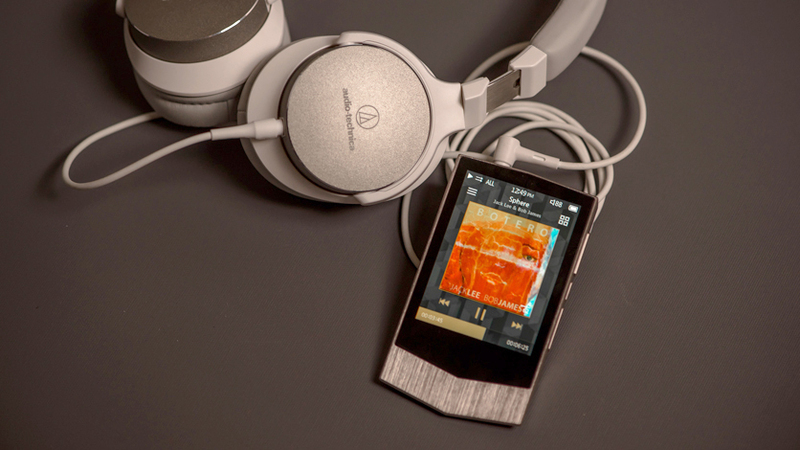 The declared operating time of Plenue V is 41 hours when playing MP3. For Hi-Res formats, this figure is 27 hours, which is close to the results obtained during testing: the player lasted about a day with continuous playback of FLAC 24/96 at a volume of 50%. With daily listening to music for about three hours, the device will last almost a week, and with sensitive in-ear headphones, it can take even longer. 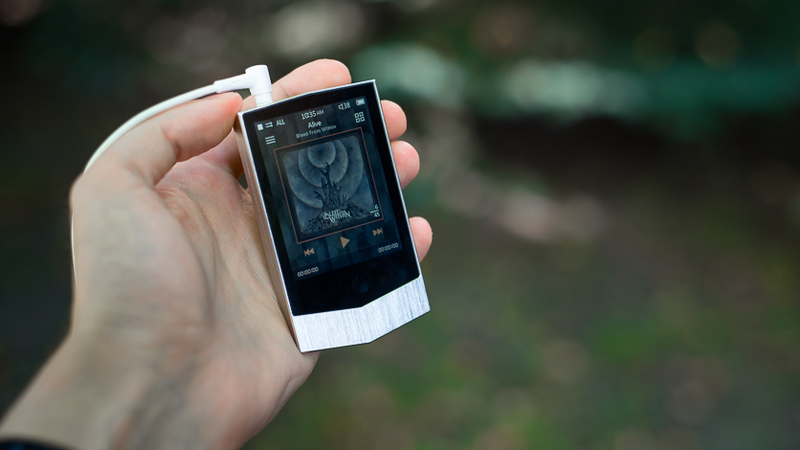 Cowon Plenue V refers to the times when digital players did not resemble smartphones,but were distinguished by design, ergonomics and autonomy. However, the novelty is equipped with a modern audio chip and an advanced equalizer, so it doesn’t sound at all like MP3 “zero” ones. So it turns out the device, the convenience and sound of which will appreciate almost everything.